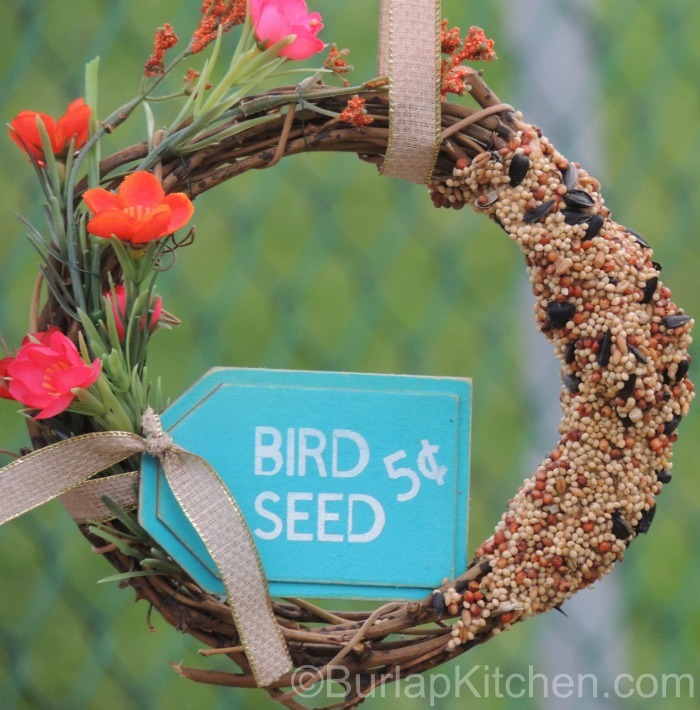 You are going to love how easy this DIY Bird Seed Wreath is to make! Not only is it easy but it’s also an inexpensive way to spruce up the backyard. I just put my wreath out today so the birds are still a little wary of it. As soon as they get comfortable with it I will be sure to post more pictures. 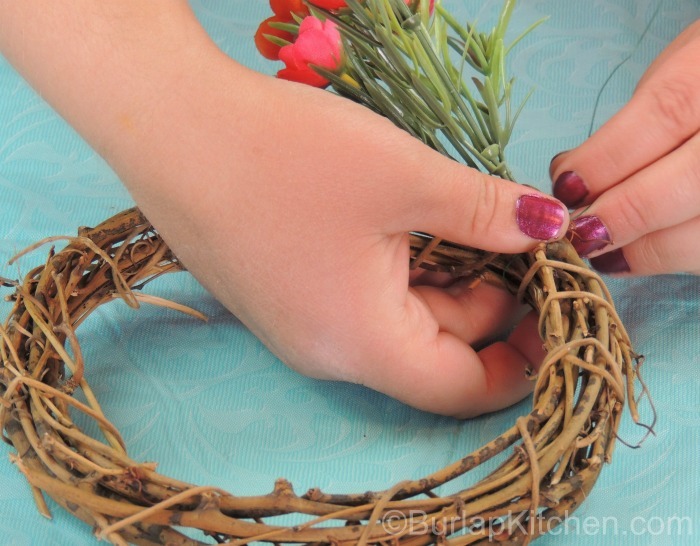 Step 1: Cut a few sprigs of flowers and wire them to one side of the wreath using floral wire. 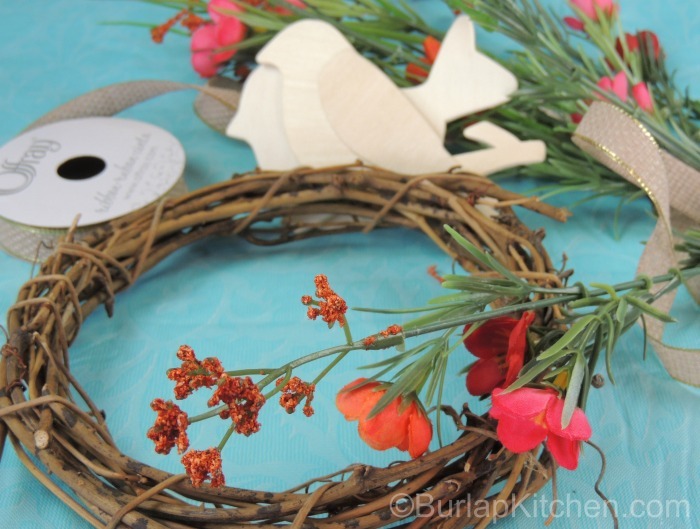 Step 2: Paint wooden tag as desired and tie it onto the wreath using ribbon. 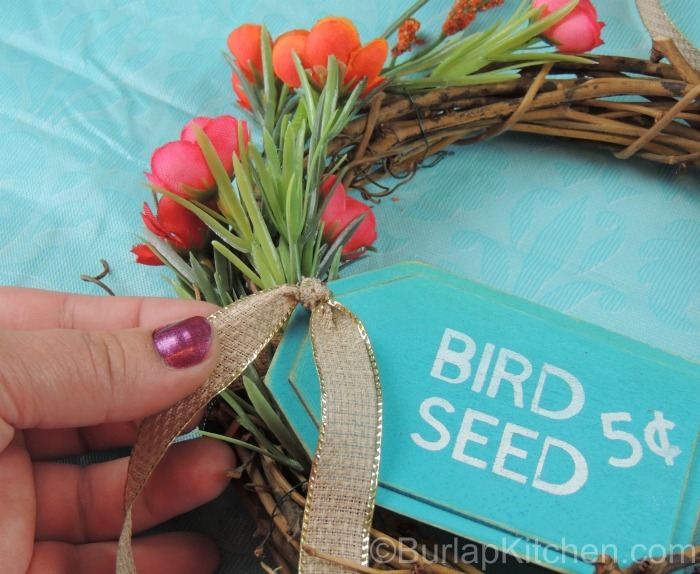 Using a white marker, write Bird Seed 5¢ OR use a Circuit to create this look or a design of your own. Dip the edge of an old rag in stain and quickly wipe on and off the tag. 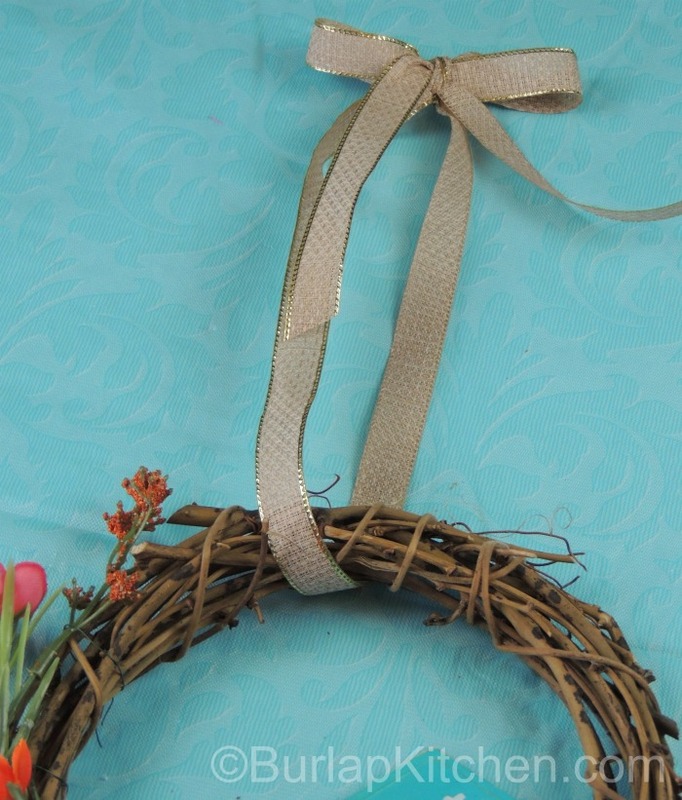 Step 3: Tie a piece of ribbon around the wreath so it can hang. Step 4: Use a knife or spoon to spread peanut butter on one side of the wreath. I found that a spoon works the best. Next, pour the birdseed over the peanut butter. 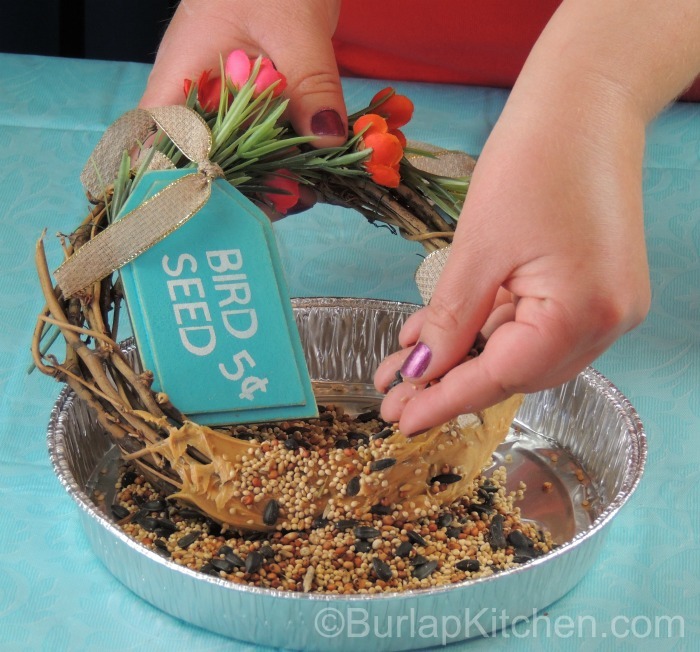 The best way to do this is to put the bird seed in a cheap foil pie pan and sprinkle it on the wreath. 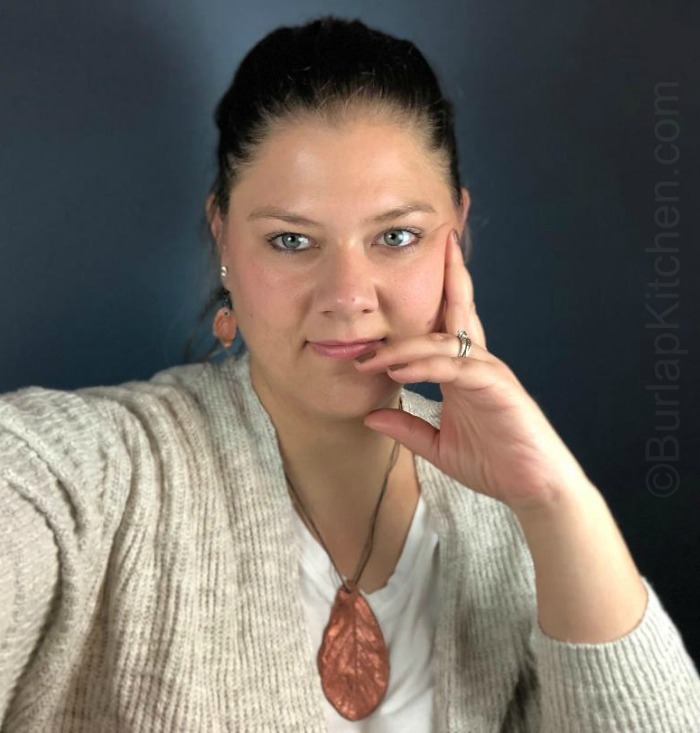 This keeps all the mess in the pie pan and makes for an easy cleanup! And it’s as simple as that! Enjoy watching the birds nibble away at their new treat!